On Achill Island, Ireland, my family visited an in-progress archaeological dig (I think it was a Neolithic site). This picture is actually taken at or near the site, though the fog sort of swallows it all up. 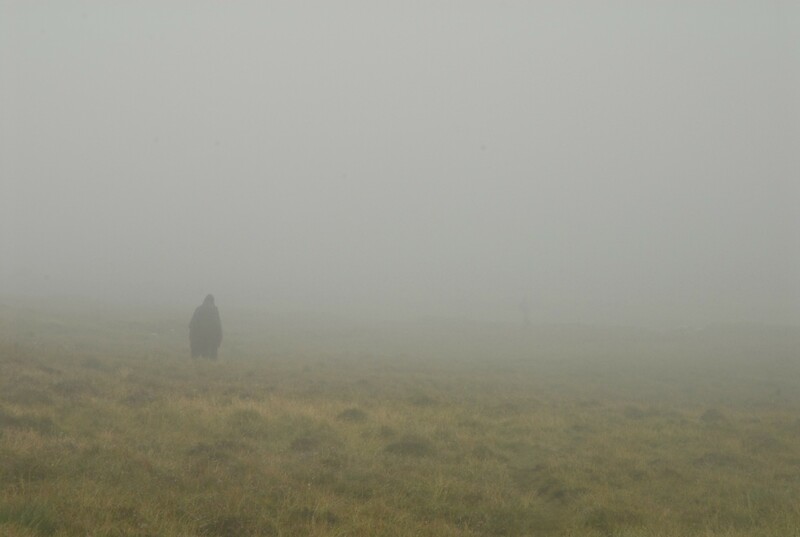 The figure is either my father or my brother and I the other can barely be seen farther into the fog. On our drive north from Achill a fox darted across the road, which made me rather happy.